A cavity results when the tooth enamel is compromised by decay. A filling procedure removes the decay and repairs the tooth. Crowns or “caps” cover a tooth that has been so compromised that a filling, inlay or onlay cannot solve the problem. Crowns come in a variety of materials. If one or multiple teeth are lost and implants are not an option, the dental bridge repairs the gap by using teeth on either side of the missing tooth. Implants may be used, however, to anchor a bridge. Many restorations are made more secure or more helpful to your oral health with dental implants. Implants are the dental restoration gold standard for a number of important reasons. Wherever possible, implants are used by our Yuba City dentists to replace missing teeth. Read more about why in this section. These are not your grandmother’s false teeth. Dentures have far more options today, including placement with implants, so the dentures “snap in” or “snap on.” The options are many, so read more about it here. When a tooth is damaged internally, either due to trauma, infection or both, endodontic procedures are necessary. 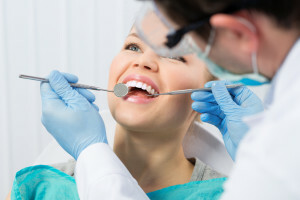 From root canal treatment to crack repair, the goal of endodontics is preserving your natural tooth for as long as possible, perhaps even a lifetime. In some cases, no one restoration procedure is enough to repair the problems with your teeth. In this case, a full mouth restoration is required, using a selection of the techniques discussed above. For more information about how our Yuba City dentists perform each of the procedures, and why they may be necessary, visit this section of the Yuba City Dentistry Group website.